Starmix is loved for its iconic mix of shapes! Everyone has their favourite, whether that's a heart, a ring, a cola bottle, an egg or a goldbear. 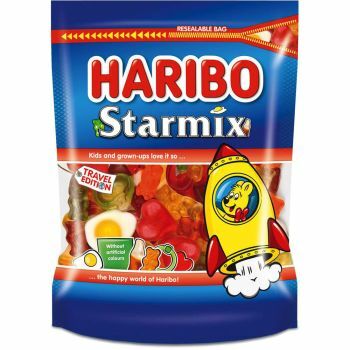 Starmix has something for everyone, with its range of jelly and foam sweets! They are a perfect treat, whatever the weather. Flavours: orange, lemon, raspberry, pineapple and cola.